Things I love this week! I come across so many amazing things on a daily basis, and I always forget to share them, so I’ve decided to put together a weekly round-up of things I’m completely in love with! I am alllllll about finding ways to relax my aching joints, and there’s nothing quite as relaxing as taking a bath, so I love taking trips to Lush and finding interesting and exciting bath bombs to make my baths that little bit more luxurious! My favourite scents are always fresh and citrusy, so these two are ones that I am definitely buying again! I also love that Lush products are all vegetarian, ethically produced, and not tested on animals, so I can feel good about buying from them while I’m having a nice long soak! These aren’t ingredients for anybody else except for yourself. 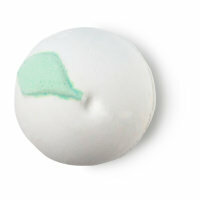 Lime and sweet wild orange oils are fresh and peachy on the nose, exciting the senses and shaking up your mood. 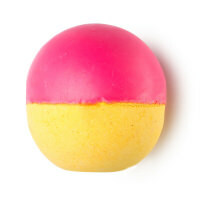 There’s no time for apathy in the bath, so this anarchic bath bomb fizzes and rolls and spews colour with no holds barred energy. Fair Trade cocoa butter melts alongside fresh bananas to soften both the water and your skin. God save the clean; this deserves a replay. Snow White had a tough time of it. If you too are likely to spend Christmas day evading evil stepmothers, stroppy mirrors, not to mention cooking and cleaning for seven singing men, you certainly deserve a dip in the bath. Crisp, apple-scented waters, as pure as the driven snow, fizz and foam, while bergamot oil and rose absolute restore peace and calm. At the core, a heart of fruity, uplifting neroli oil and orange flower absolute is sure to revive your (Christmas) spirit. Accessories – Headwear from Teal Paper Box! 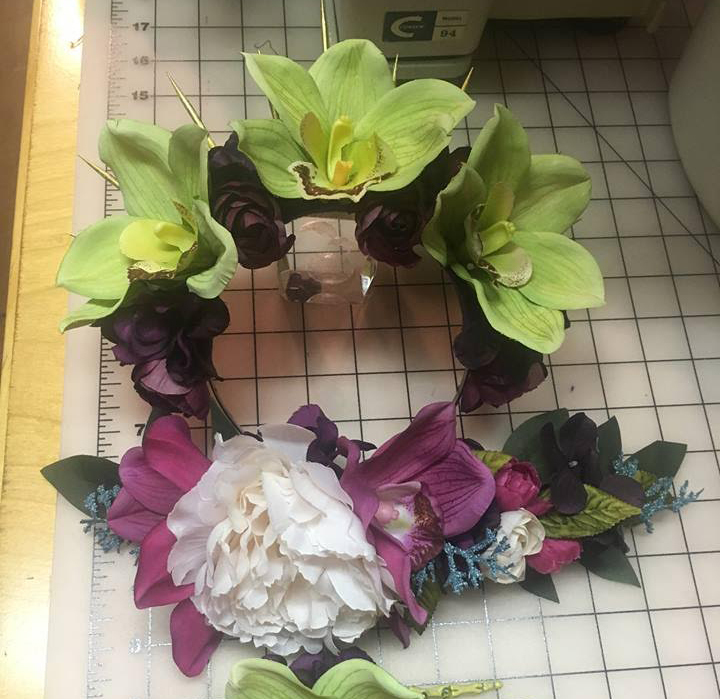 I’m always looking for hair accessories, and when Ashley from Teal Paper Box posted in a facebook group that I’m part of (for pinup girls dealing with chronic illness and disability) to share the beauties she had been creating I knew I needed to buy allllllll of them! After being diagnosed with a rare illness, Ashley decided she needed to find something that makes me happy and others enjoy! She made custom gift boxes every year for Christmas for friends and family (in teal paper boxes) so after heaps of people suggested she start selling them, she decided to open an Etsy store – and I, for one, am thrilled she has! 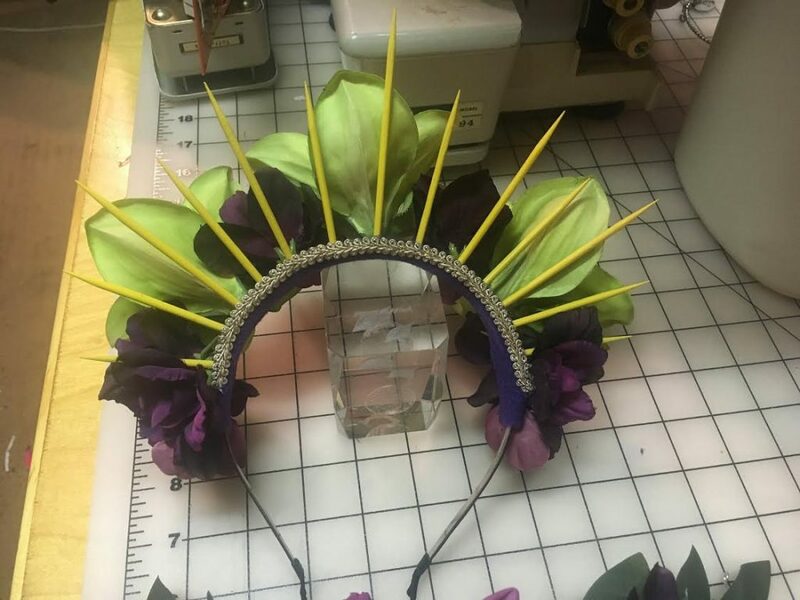 I have two pieces from her so far – this amazing flower crown (that I wore to Armageddon) and this gorgeous headpiece with orchids and peonie roses, which I have been saving for a wedding this weekend! Her prices vary from piece to piece, but are very very reasonable and are beautifully made! Follow her on Instagram – she not only shares her gorgeous creations, but has some pretty stellar outfit posts too! Definitely one to watch! 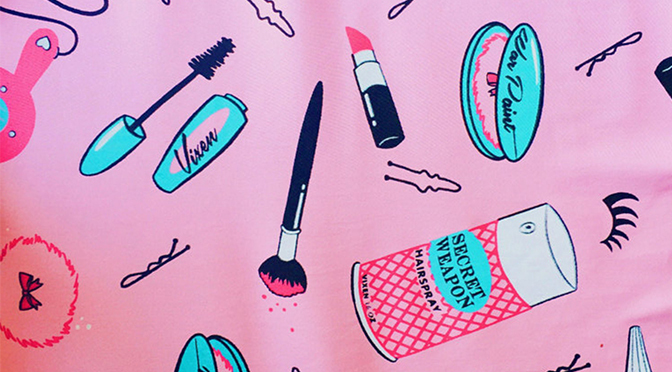 Fashion – The Vixen Makeup Skirt! Micheline Pitt was the lady behind my favourite P.U.G novelty prints, and when she split off and started her own label I knew we would be in for some beauties….I just never imagined anything quite this perfect! As soon as I first saw the sketches for this print, I knew I had to have it. I had to. There was no question about it! I also got the matching ‘Secret Weapon’ Hairspray pin for myself, as well as the ‘War Paint’ Compact and both ‘Blood of my Enemies’ Nail Polish pins for my Beauty School Dropouts girl squad! The Makeup Print Swing Skirt is made of a heavy stretch cotton, and is a similar cut to the P.U.G Darling Dames / Petite Jenny skirts. The waistband is sturdy but not restrictive, and has held it’s shape well after a few wears which is awesome! And you guys…it has pockets! The 3XL is an absolutely perfect fit for me, I could maybe size down but I plan on wearing this to work so I need to be comfortable, and I didn’t want it to dig in in weird places, since that’s never a good look! 1000000% would recommend purchasing, but if pink and girly isn’t for you then do not fret – she has many other options in the Vixen line with more of a vampy-badass vibe! Bonus Extras – 12 Days of Beauty School Christmas! You guys, it’s December, and that means it’s almost Christmas! 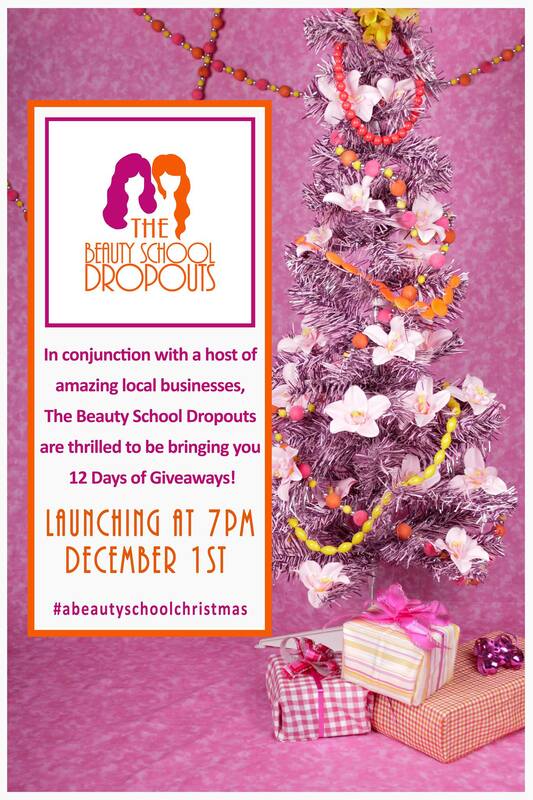 Even more exciting – we’re almost halfway through the Beauty School Dropouts Christmas Giveaway! We have a huge array of prizes from some amazing local businesses who we love dearly, so do not miss out!!! A new prize drops at 7pm each night, so head along and like our Facebook page now to enter the first 5 prize draws, and stay tuned for the rest! And that’s my weekly round-up all wound up! Come back next week, I might even do it again!